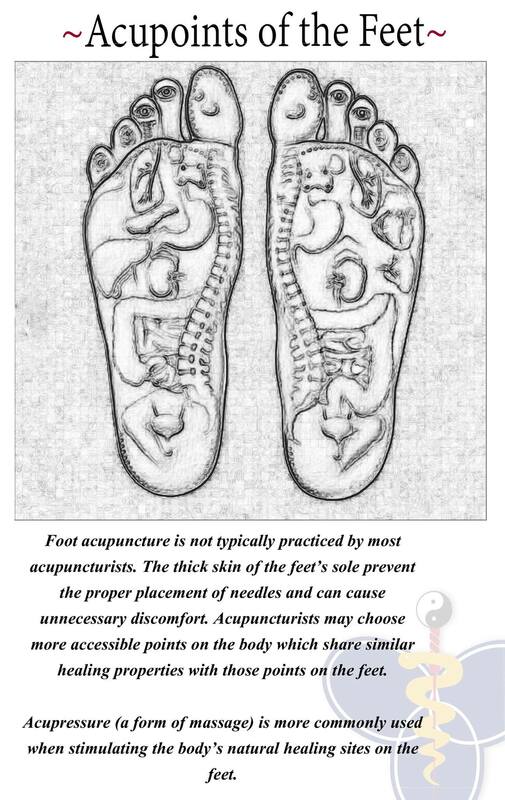 Foot acupunture is not typically practiced by most acupuncturists. The thick skin of the feet's sole prevent the proper placement of the needles and and can cause unnecessary discomfort. Acupuncturists may choose more accessible points on the body which share similar healing properties with those points on the feet. Acupressure (a form of massage) is more commonly used when stimulating the body's natural healing sites on the feet.